Writers have a lot to say. And books and magazines are not always the best places for them to express themselves. That’s what UMKC Associate Professor of English Whitney Terrell thought. They needed more than to be asked, though. They needed a platform on which to answer. Terrell came up with the idea for a podcast a little over a year ago. The result is Fiction/Non/Fiction, a podcast hosted by Terrell and University of Minnesota professor V.V. Ganeshananthan. There was nothing out there like it. Whereas social media feeds and television are populated with political pundits and, on occasion, celebrities, Fiction/Non/Fiction comes alive with the voices of Terrell, Ganeshananthan and guests who range from novelists to poets to journalists. Past episodes have included appearances by award-winning writers such as Tayari Jones, Edwidge Danitcat, Thomas Frank, and Curtis Sittenfeld. Fiction/Non/Fiction has featured the Washington Post’s chief book critic, Ron Charles, and the editor of the New York Times Book Review, Pamela Paul. UMKC already boasted one established radio show and podcast: UMKC Professor Angela Elam’s New Letters on the Air, which invites writers to discuss their work and is the longest continuously- running broadcast of a national literary radio series. But this podcast would be different. It would connect the constant stream of news with writers’ opinions and ideas. “Writers have a political voice in this country in the realm of fiction and nonfiction,” says Terrell. He reached out to Jonny Diamond, editor of the website, and pitched the idea. To Diamond, the idea of launching the podcast was a no-brainer. “It’s all about giving writers a platform to talk about ideas and the things going on in our world that they may already be writing about,” says Diamond. The news would now be seen through the lens of literature. And it would not just offer the outlet for writers. The podcast would include critics, book reviewers, poets, anyone who wrote about the world around them. Diamond explained that letting writers discuss politics and world events is not a new idea. He added that the idea of the podcast fit in nicely with Literary Hub’s mission. “Literary Hub helps books and writers maintain and regain prominence in cultural conversations,” he says. With the green light, Terrell sought out Ganeshananthan, a professor at the University of Minnesota, as his co-host. In October 2017, Fiction/Non/Fiction launched. They now have a world-wide audience, from the U.S to Australia to French territories. Currently, the highest concentration of listeners reside in New York, California, Massachusetts and Missouri. Most recently, an episode that discussed the ins and outs of applying to MFA programs, and featured UMKC professor Hadara Bar-Nadav prominently, reached as far as Jordan. 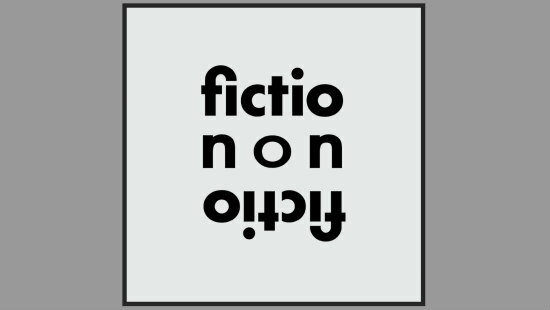 With 40,000 downloads and subscribers from all over the world, Fiction/Non/Fiction allows its subscribers to explore the news of today with the novels and published works of the present and past.